While I am not one to take issue with the World Creole Music Festival (WCMF) having been one of its main promoters in print media for the life of the festival, I suggest the following for due consideration next time around. 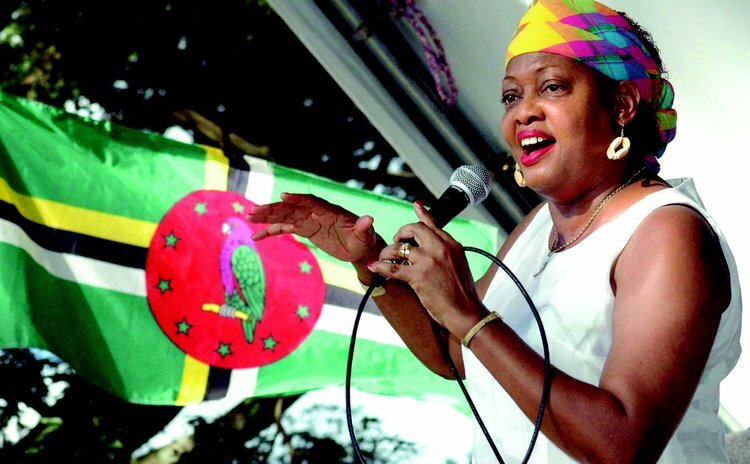 I really don't know enough of the merits and demerits of not having Dominica's best local musical group, rivalled only by the Swinging Stars, as a feature of this edition of the WCMF. Hence, I do share Cornell Phillip's sentiments in recognition of his group's 6th anniversary and also the superior level of musicianship offered compared to some of the groups selected locally. Just as WCK and Triple Kay have been permanent fixtures on the WCMF, it is my view the Cadence should have greater representation and one or two groups/artists should be featured at least once, if not every night, at the festival. Having said this, there is no better group than the Midnite Groovers, featuring Chubby and Co that fits such a billing. In fact were it not for the above group Cadence, as we know it, would have died of natural causes or be in a coma, save for Ophelia and the National Cooperative Credit Union ( NCCU) recent innovation of Cadence competitions, now that Jeff Joe has departed and Gordon Henderson is based overseas. Boo Hinckson has been a feature of almost every Jazz Festival in St Lucia, as long as he is available because St Lucians recognizes him as one of their greats, and so he seems to enjoy permanent status on the Festival. I think after some 45 unrelenting years we can do the same for Chubby. That is not to say the Groovers themselves do not need to put on a better show at times with their general presentation and lack of showmanship. Perhaps they are oblivious to their role as true preservers of a dying art which was the stimulus for the creation of the WCMF in the first place. I understand that the Festival's Director has argued that Fitzroy Williams is the one being recognised this year and so Chubby will be featured next time around. Too many times, however, when Cadence is featured it's as part of an all-star assembly, a pacifier, just to say "yes Cadence was represented" as opposed to letting the band or artiste enjoy the full extent as other featured groups. Personally I don't feel that the music is being appreciated and given the prominence that it deserves. It has now become just like Bele or Quadrille – a staged event for visitors. It may be true that if Chubby were to depart this world now, he is approaching his mid- sixties, Cadence may very well die with him and become a dinosaur. The NCCU innovation is still just a competition and no band based in Dominica has really produced a Cadence album in two decades except for Chubby or as solo acts as Michele Henderson and Ophelia. Are we taking a note of this? As I understand it, training is supposed to be one of the things that WCMF is mandated to undertake. For instance no one in Dominica replicates effectively Marcel "Coe" Mark finger style on the guitar, nor his infectious rhythmic patterns. So much so that even when an all Star Band is assembled, they can sound very much like Grammaxs, Exile One or Belles Combo but Coe must be present to represent his unique guitar riffs in accompanying his brother, Chubby. Is he going to depart this world and take his art with him? I am pleased that we are making moves to return to highlighting the Creole expression through workshops etc. But of all the international acts we have had for the WCMF, have our artistes benefitted from workshops? One can only learn so much from watching a band play or meeting individuals backstage but our musicians also need to interface and benefit through workshops.